We mainly focus on quality code and elegant design with incredible support. Our WordPress themes empower you to create an elegant, professional and easy to maintain website in no time at all. Hear from our clients what they says. I’d like to give a big thanks to Acme Themes. They’ve really surpassed my expectations time and again. I’m extremely pessimistic when it comes to buying premium themes, but Acme Themes (Control+Alt+Delete) all my pessimism. Their support is a real pleasure to work with. Their fast and very knowledgeable. The code within their themes, follow all the WordPress best practices and Codex standards. I’m an absolute loyal customer for life now. Thanks again guys! Hey! 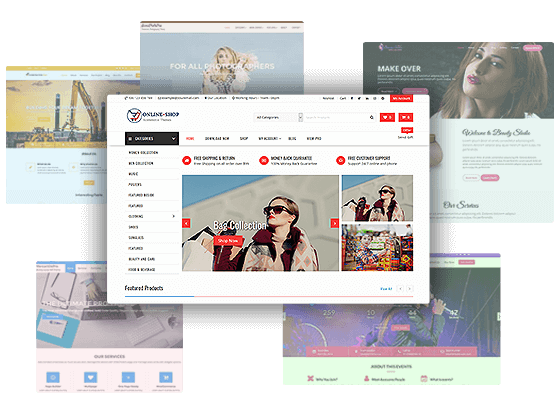 I have tried the SuperMag theme and then purchased the SuperMagPro Premium licenses for a couple of my company’s own online media projects after trying a few other competing WP themes. I must say, that the theme is perfectly flexible for Magazine Sites, and I find the functionality and logic’s implemented in it brilliant. So, for me now SuperMagPro serves as the best possible “engine” to base further developments on. And, most important – Acme Themes has very sound supports. I am continuing using Themes of Acme Themes. Thank you, guys! I fell in love theme just saw. When you see, I met a chat and that allowed me to have a personal contact. The person who served me had very good disposition and communicate in Spanish half and half in English, but understood us !!!!! The purchase was quick this all very well organized. AcmeThemes personally responsible for the installation and let me !!!!! running theme. I can ask for anything more !!!! When I started my online business I choose to work with the SuperMag Theme because it has a great layout, it’s responsive and easy to customize. SuperMag has all the options I need to make my website look good and professional. All the details that I wanted to modify I could do it by myself since the forums are very helpful. The online support is the best, they always give you a fast and nice feedback, they really try to help you to make your website look the way you wanted. Thank you, Acme Themes.